In this Indian name, the name Subrahmanyan is a patronymic, not a family name, and the person should be referred to by the given name, Chandrasekhar. Subrahmanyan Chandrasekhar FRS  ( /ˌtʃʌndrəˈseɪkər/ ( listen ); 19 October 1910 – 21 August 1995)  was an Indian American astrophysicist who spent his professional life in the United States. He was awarded the 1983 Nobel Prize for Physics with William A. Fowler for "...theoretical studies of the physical processes of importance to the structure and evolution of the stars". His mathematical treatment of stellar evolution yielded many of the current theoretical models of the later evolutionary stages of massive stars and black holes. The Chandrasekhar limit is named after him. Indian Americans or Indo-Americans are Americans whose ancestry belongs to any of the many ethnic groups of the Republic of India. The U.S. Census Bureau uses the term Asian Indian to avoid confusion with the indigenous peoples of the Americas commonly referred to as American Indians. William Alfred "Willy" Fowler was an American nuclear physicist, later astrophysicist, who, with Subrahmanyan Chandrasekhar won the 1983 Nobel Prize in Physics. He is known for his theoretical and experimental research into nuclear reactions within stars and the energy elements produced in the process. Chandrasekhar worked on a wide variety of physical problems in his lifetime, contributing to the contemporary understanding of stellar structure, white dwarfs, stellar dynamics, stochastic process, radiative transfer, the quantum theory of the hydrogen anion, hydrodynamic and hydromagnetic stability, turbulence, equilibrium and the stability of ellipsoidal figures of equilibrium, general relativity, mathematical theory of black holes and theory of colliding gravitational waves. At the University of Cambridge, he developed a theoretical model explaining the structure of white dwarf stars that took into account the relativistic variation of mass with the velocities of electrons that comprise their degenerate matter. He showed that the mass of a white dwarf could not exceed 1.44 times that of the Sun – the Chandrasekhar limit. Chandrasekhar revised the models of stellar dynamics first outlined by Jan Oort and others by considering the effects of fluctuating gravitational fields within the Milky Way on stars rotating about the galactic centre. His solution to this complex dynamical problem involved a set of twenty partial differential equations, describing a new quantity he termed 'dynamical friction', which has the dual effects of decelerating the star and helping to stabilize clusters of stars. Chandrasekhar extended this analysis to the interstellar medium, showing that clouds of galactic gas and dust are distributed very unevenly. Stars of different mass and age have varying internal structures. 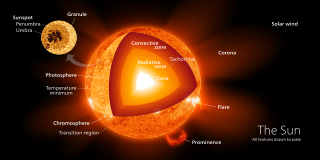 Stellar structure models describe the internal structure of a star in detail and make detailed predictions about the luminosity, the color and the future evolution of the star. A white dwarf, also called a degenerate dwarf, is a stellar core remnant composed mostly of electron-degenerate matter. A white dwarf is very dense: its mass is comparable to that of the Sun, while its volume is comparable to that of Earth. A white dwarf's faint luminosity comes from the emission of stored thermal energy; no fusion takes place in a white dwarf wherein mass is converted to energy. The nearest known white dwarf is Sirius B, at 8.6 light years, the smaller component of the Sirius binary star. There are currently thought to be eight white dwarfs among the hundred star systems nearest the Sun. The unusual faintness of white dwarfs was first recognized in 1910. The name white dwarf was coined by Willem Luyten in 1922. Stellar dynamics is the branch of astrophysics which describes in a statistical way the collective motions of stars subject to their mutual gravity. The essential difference from celestial mechanics is that each star contributes more or less equally to the total gravitational field, whereas in celestial mechanics the pull of a massive body dominates any satellite orbits. Chandrasekhar was born on 19 October 1910 in Lahore, Punjab, British India (now Pakistan) in a Tamil Hindu family,  to Sitalakshmi (Divan Bahadur) Balakrishnan (1891–1931) and Chandrasekhara Subrahmanya Ayyar (1885–1960)  who was stationed in Lahore as Deputy Auditor General of the Northwestern Railways at the time of Chandrasekhar's birth. He had two elder sisters, Rajalakshmi and Balaparvathi, three younger brothers, Vishwanathan, Balakrishnan, and Ramanathan and four younger sisters, Sarada, Vidya, Savitri, and Sundari. His paternal uncle was the Indian physicist and Nobel laureate C. V. Raman. His mother was devoted to intellectual pursuits, had translated Henrik Ibsen's A Doll's House into Tamil and is credited with arousing Chandra's intellectual curiosity at an early age. The family moved from Lahore to Allahabad in 1916, and finally settled in Madras in 1918. The Tamil people, also known as Tamilar, Tamilans or simply Tamils, are an ethnic group who speak the language Tamil as their mother tongue and trace their ancestry to Southern India and North-eastern Sri Lanka. Tamils, with a population of around 76 million and with a documented history stretching back over 2,000 years, are one of the largest and oldest extant ethnolinguistic groups in the modern world. Tamils constitute 5.9% of the population in India, 15.3% in Sri Lanka, 6% in Mauritius, 7% in Malaysia and 5% in Singapore. Chandrasekhar was tutored at home until the age of 12. In middle school his father would teach him Mathematics and Physics and his mother would teach him Tamil. He later attended the Hindu High School, Triplicane, Madras during the years 1922–25. Subsequently, he studied at Presidency College, Madras from 1925 to 1930, writing his first paper, "The Compton Scattering and the New Statistics", in 1929 after being inspired by a lecture by Arnold Sommerfeld. He obtained his bachelor's degree, B.Sc. (Hon. ), in physics, in June 1930. In July 1930, Chandrasekhar was awarded a Government of India scholarship to pursue graduate studies at the University of Cambridge, where he was admitted to Trinity College, Cambridge, secured by R. H. Fowler with whom he communicated his first paper. During his travels to England, Chandrasekhar spent his time working out the statistical mechanics of the degenerate electron gas in white dwarf stars, providing relativistic corrections to Fowler's previous work (see Legacy below). Physics is the natural science that studies matter, its motion, and behavior through space and time, and that studies the related entities of energy and force. Physics is one of the most fundamental scientific disciplines, and its main goal is to understand how the universe behaves. In his first year at Cambridge, as a research student of Fowler, Chandrasekhar spent his time calculating mean opacities and applying his results to the construction of an improved model for the limiting mass of the degenerate star. At the meetings of the Royal Astronomical Society, he met E. A. Milne. At the invitation of Max Born he spent the summer of 1931, his second year of post-graduate studies, at Born's institute at Göttingen, working on opacities, atomic absorption coefficients, and model stellar photospheres. On the advice of P. A. M. Dirac, he spent his final year of graduate studies at the Institute for Theoretical Physics in Copenhagen, where he met Niels Bohr. Opacity is the measure of impenetrability to electromagnetic or other kinds of radiation, especially visible light. In radiative transfer, it describes the absorption and scattering of radiation in a medium, such as a plasma, dielectric, shielding material, glass, etc. An opaque object is neither transparent nor translucent. When light strikes an interface between two substances, in general some may be reflected, some absorbed, some scattered, and the rest transmitted. Reflection can be diffuse, for example light reflecting off a white wall, or specular, for example light reflecting off a mirror. An opaque substance transmits no light, and therefore reflects, scatters, or absorbs all of it. Both mirrors and carbon black are opaque. Opacity depends on the frequency of the light being considered. For instance, some kinds of glass, while transparent in the visual range, are largely opaque to ultraviolet light. More extreme frequency-dependence is visible in the absorption lines of cold gases. Opacity can be quantified in many ways; for example, see the article mathematical descriptions of opacity. The Royal Astronomical Society (RAS) is a learned society and charity that encourages and promotes the study of astronomy, solar-system science, geophysics and closely related branches of science. Its headquarters are in Burlington House, on Piccadilly in London. The society has over 4,000 members, termed Fellows, most of them professional researchers or postgraduate students. Around a quarter of Fellows live outside the UK. Members of the public who have an interest in astronomy and geophysics but do not qualify as Fellows may become Friends of the RAS. 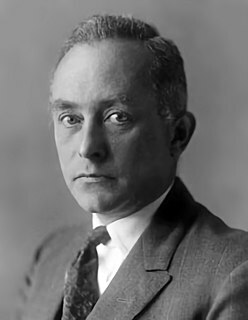 Max Born was a German-Jewish physicist and mathematician who was instrumental in the development of quantum mechanics. He also made contributions to solid-state physics and optics and supervised the work of a number of notable physicists in the 1920s and 1930s. Born won the 1954 Nobel Prize in Physics for his "fundamental research in quantum mechanics, especially in the statistical interpretation of the wave function". Chandrasekhar remained at the University of Chicago for his entire career. He was promoted to associate professor in 1941 and to full professor two years later at just 33 years of age. In 1952, he became Morton D. Hull Distinguished Service Professor of Theoretical Astrophysics. In 1953, he and his wife, Lalitha Chandrasekhar, took American citizenship. Famously, Chandrasekhar declined many offers from other universities, including one to succeed Henry Norris Russell, the preeminent American astronomer, as director of the Princeton University Observatory. After the Laboratory for Astrophysics and Space Research (LASR) was built by NASA in 1966 at the University, Chandrasekhar occupied one of the four corner offices on the second floor. (The other corners housed John A. Simpson, Peter Meyer, and Eugene N. Parker.) Chandrasekhar lived at 4800 Lake Shore Drive after the high-rise apartment complex was built in the late 1960s, and later at 5550 Dorchester Building. During World War II, Chandrasekhar worked at the Ballistic Research Laboratory at the Aberdeen Proving Ground in Maryland. While there, he worked on problems of ballistics, resulting in reports such as 1943's On the decay of plane shock waves , Optimum height for the bursting of a 105mm shell , On the Conditions for the Existence of Three Shock Waves,  and The normal reflection of a blast wave. Chandrasekhar's expertise in hydrodynamics led Robert Oppenheimer to invite him to join the Manhattan Project at Los Alamos, but delays in the processing of his security clearance prevented him from contributing to the project. It has been rumoured that he visited the Calutron project, where he suggested that young women be employed to operate the calutrons producing enriched radioactive materials for the atomic weapons. Chandrasekhar was awarded the Nobel Prize in Physics in 1983 for his studies on the physical processes important to the structure and evolution of stars. Chandrasekhar accepted this honor, but was upset the citation mentioned only his earliest work, seeing it as a denigration of a lifetime's achievement. He shared it with William A. Fowler. Chandrasekhar, S. (1958) . An Introduction to the Study of Stellar Structure. New York: Dover. ISBN 978-0-486-60413-8. Chandrasekhar, S. (2005) . Principles of Stellar Dynamics. New York: Dover. ISBN 978-0-486-44273-0. Chandrasekhar, S. (1960) . Radiative Transfer. New York: Dover. ISBN 978-0-486-60590-6. Chandrasekhar, S. (1975) . Plasma Physics. Chicago: The University of Chicago Press. ISBN 978-0-226-10084-5. Chandrasekhar, S. (1981) . Hydrodynamic and Hydromagnetic Stability. New York: Dover. ISBN 978-0-486-64071-6. Chandrasekhar, S. (1987) . Ellipsoidal Figures of Equilibrium. New York: Dover. ISBN 978-0-486-65258-0. Chandrasekhar, S. (1998) . The Mathematical Theory of Black Holes. New York: Oxford University Press. ISBN 978-0-19-850370-5. Chandrasekhar, S. (1983) . Eddington: The Most Distinguished Astrophysicist of His Time. Cambridge University Press. ISBN 9780521257466. Chandrasekhar, S. (1990) . Truth and Beauty. Aesthetics and Motivations in Science. Chicago: The University of Chicago Press. ISBN 978-0-226-10087-6. Chandrasekhar, S. (1995). Newton's Principia for the Common Reader. Oxford: Clarendon Press. ISBN 978-0-19-851744-3. Spiegel, E.A. (2011) . The Theory of Turbulence : Subrahmanyan Chandrasekhar's 1954 Lectures. Netherlands: Springer. ISBN 978-94-007-0117-5. Chandrasekhar, S. (1943). "Stochastic Problems in Physics and Astronomy". Reviews of Modern Physics. 15 (1): 1–89. Bibcode:1943RvMP...15....1C. doi:10.1103/RevModPhys.15.1. Chandrasekhar, S. (1993). Classical general relativity. Royal Society. Chandrasekhar, S. (1943). New methods in stellar dynamics. New York Academy of Sciences. Chandrasekhar, S. (1954). The illumination and polarization of the sunlit sky on Rayleigh scattering. American Philosophical Society. Chandrasekhar, S. (1983). On Stars, their evolution and their stability, Noble lecture. Stockholm: Noble Foundation. Chandrasekhar, S. (1981). New horizons of human knowledge: a series of public talks given at Unesco. Unesco Press. Chandrasekhar, S. (1975). Shakespeare, Newton, and Beethoven: Or, Patterns of Creativity. University of Chicago. Chandrasekhar, S. (1947). Heywood, Robert B., ed. The Works of the Mind:The Scientist. Chicago: University of Chicago Press. pp. 159–179. OCLC 752682744. Chandrasekhar, S. (1995). Reminiscences and discoveries on Ramanujan's bust. Royal Society. ASIN B001B12NJ8. Chandrasekhar, S. (1990). How one may explore the physical content of the general theory of relativity. American Mathematical Society. ASIN B001B10QTM. Chandrasekhar published around 380 papers   in his lifetime. He wrote his first paper in 1928 when he was still an undergraduate student about Compton effect  and last paper which was accepted for publication just two months before his death was in 1995 which was about non-radial oscillation of stars. The University of Chicago Press published selected papers of Chandrasekhar in seven volumes. Chandrasekhar, S. (1989). Selected Papers, Vol 1, Stellar structure and stellar atmospheres. Chicago: University of Chicago Press. ISBN 9780226100890. Chandrasekhar, S. (1989). Selected Papers, Vol 2, Radiative transfer and negative ion of hydrogen. Chicago: University of Chicago Press. ISBN 9780226100920. Chandrasekhar, S. (1989). Selected Papers, Vol 3, Stochastic, statistical and hydromagnetic problems in Physics and Astronomy. Chicago: University of Chicago Press. ISBN 9780226100944. Chandrasekhar, S. (1989). Selected Papers, Vol 4, Plasma Physics, Hydrodynamic and Hydromagnetic stability, and applications of the Tensor-Virial theorem. Chicago: University of Chicago Press. ISBN 9780226100975. Chandrasekhar, S. (1990). Selected Papers, Vol 5, Relativistic Astrophysics. Chicago: University of Chicago Press. ISBN 9780226100982. Chandrasekhar, S. (1991). Selected Papers, Vol 6, The Mathematical Theory of Black Holes and of Colliding Plane Waves. Chicago: University of Chicago Press. ISBN 9780226101019. Chandrasekhar, S. (1997). Selected Papers, Vol 7, The non-radial oscillations of star in General Relativity and other writings. Chicago: University of Chicago Press. ISBN 9780226101040. Miller, Arthur I. (2005). Empire of the Stars: Friendship, Obsession, and Betrayal in the Quest for Black Holes. Boston: Houghton Mifflin. ISBN 978-0-618-34151-1. Srinivasan, G., ed. (1997). From White Dwarfs to Black Holes: The Legacy of S. Chandrasekhar. Chicago: The University of Chicago Press. ISBN 978-0-226-76996-7. Penrose, Roger (1996). "Chandrasekhar, Black Holes and Singularities" (PDF). Journal of Astrophysics and Astronomy. 17 (3–4): 213–231. Bibcode:1996JApA...17..213P. CiteSeerX 10.1.1.496.2529 . doi:10.1007/BF02702305. Wali, Kameshwar C. (1991). Chandra: A Biography of S. Chandrasekhar. Chicago: The University of Chicago Press. ISBN 978-0-226-87054-0. Wali, Kameshwar C., ed. (1997). Chandrasekhar: The Man Behind the Legend - Chandra Remembered. London: imperial College Press. ISBN 978-1-86094-038-5. Wignesan, T., ed. (2004). The Man who Dwarfed the Stars. The Asianists' Asia. ISSN 1298-0358. Venkataraman, G. (1992). Chandrasekhar and His Limit. Hyderabad, India: Universities Press. ISBN 978-81-7371-035-3. Saikia, D J.; et al., eds. (2011). Fluid flows to Black Holes: A tribute to S Chandrasekhar on his birth centenary. Singapore: World Scientific Publishing Co. Ptd Ltd. ISBN 978-981-4299-57-2. Kameshwar, C Wali, ed. (2001). A Quest For Perspectives. Singapore: World Scientific Publishing Co. Ptd Ltd. ISBN 978-1-86094-201-3. Ramnath, Radhika, ed. (2012). S. Chandrasekhar: Man of Science. Harpercollins. ASIN B00C3EWIME. Alic, Kameshwar C (2011). Kameshwar, C Wali, ed. A Scientific Autobiography: S Chandrasekhar. A Scientific Autobiography: S Chandrasekhar. Edited by K C Wali. Published by World Scientific Publishing Co. Pte. Ltd. Bibcode:2010sasc.book.....W. doi:10.1142/7686. ISBN 978-981-4299-57-2. Salwi, Dilip, ed. (2004). S. Chandrasekhar: The scholar scientist. Rupa. ISBN 978-8129104915. Pandey, Rakesh Kumar, ed. (2017). Chandrasekhar Limit: Size of White Dwarfs. Lap Lambert Academic Publishing. ISBN 978-3330317666. 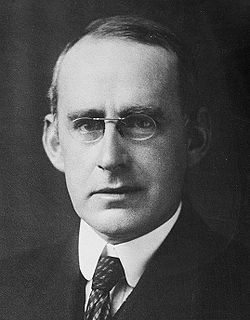 Sir Arthur Stanley Eddington was an English astronomer, physicist, and mathematician of the early 20th century who did his greatest work in astrophysics. He was also a philosopher of science and a populariser of science. The Eddington limit, the natural limit to the luminosity of stars, or the radiation generated by accretion onto a compact object, is named in his honour. The Chandrasekhar limit is the maximum mass of a stable white dwarf star. The currently accepted value of the Chandrasekhar limit is about 1.4 M☉ (2.765×1030 kg). Satyendra Nath Bose, was an Indian physicist specialising in theoretical physics. He is best known for his work on quantum mechanics in the early 1920s, providing the foundation for Bose–Einstein statistics and the theory of the Bose–Einstein condensate. A Fellow of the Royal Society, he was awarded India's second highest civilian award, the Padma Vibhushan in 1954 by the Government of India. The Astrophysical Journal, often abbreviated ApJ in references and speech, is a peer-reviewed scientific journal of astrophysics and astronomy, established in 1895 by American astronomers George Ellery Hale and James Edward Keeler. The journal discontinued its print edition and became an electronic-only journal in 2015. Victor Hamazaspovich Hambardzumyan was a Soviet Armenian scientist, and one of the founders of theoretical astrophysics. He worked in the field of physics of stars and nebulae, stellar astronomy, dynamics of stellar systems and cosmogony of stars and galaxies, and contributed to mathematical physics. Leon Mestel was a British astronomer and astrophysicist and Emeritus Professor at the University of Sussex. His research interests were in the areas of star formation and structure, especially stellar magnetism and astrophysical magnetohydrodynamics. He was awarded both the Eddington Medal (1993) and the Gold Medal of the Royal Astronomical Society. Following his retirement, he wrote several obituaries and biographical articles on physicists and astrophysicists. Jayant Vishnu Narlikar is an Indian astrophysicist. He developed with Sir Fred Hoyle the conformal gravity theory, known as Hoyle–Narlikar theory. It synthesizes Albert Einstein's theory of relativity and Mach's principle. It proposes that the inertial mass of a particle is a function of the masses of all other particles, multiplied by a coupling constant, which is a function of cosmic epoch. Black Holes & Time Warps: Einstein's Outrageous Legacy is a 1994 popular science book by physicist Kip Thorne. It provides an illustrated overview of the history and development of black hole theory, from its roots in Newtonian mechanics until the early 1990s. Jacob Robert Emden was a Swiss astrophysicist and meteorologist. He is best known for his book, Gaskugeln: Anwendungen der mechanischen Wärmetheorie auf kosmologische und meteorologische probleme, published in 1907. It presents a mathematical model of the behaviour of polytropic gaseous stellar objects under the influence their own gravity, known as the Lane-Emden equation. Alladi Ramakrishnan was an Indian physicist and the founder of the Institute of Mathematical Sciences (Matscience) in Chennai. He made contributions to stochastic process, particle physics, algebra of matrices, special theory of relativity and quantum mechanics. C. V. Vishveshwara was an Indian scientist and black hole physicist. Specializing in Einstein's General Relativity, he worked extensively on the theory of black holes and made major contributions to this field of research since its very beginning. He is popularly known as the 'black hole man of India'. Guido Münch Paniagua is a Mexican astronomer and astrophysicist. Kameshwar C. Wali is the Distinguished Research Professor of Physics Emeritus at Syracuse University's College of Arts and Sciences. He is a specialist in high energy physics, particularly symmetries and dynamics of elementary particles, and as the author of Chandra: A Biography of S. Chandrasekhar and Cremona Violins: a physicist's quest for the secrets of Stradivari. Ivor Robinson was an American mathematical physicist, born and educated in England. He was a principal organizer of the Texas Symposium on Relativistic Astrophysics. Banibrata Mukhopadhyay is an Indian Scientist/Astrophysicist and a professor of Physics at the Indian Institute of Science, Bangalore, India, born at Kolkatta, India to Pulak Mukhopadhyay, a biologist, and Tapati Mukhopadhyay, an academician. Mukhopadhyay’s mother tongue is Bengali. Ganesan Srinivasan is an Indian physicist specialized in the field of condensed matter physics and astrophysics, a visiting professor of the Indian Institute of Astrophysics and a former research scientist in the Raman Research Institute. 1 2 3 4 Tayler, R. J. (1996). "Subrahmanyan Chandrasekhar. 19 October 1910 – 21 August 1995". Biographical Memoirs of Fellows of the Royal Society . 42: 80–94. doi:10.1098/rsbm.1996.0006. ↑ "Subrahmanyan Chandrasekhar – The Mathematics Genealogy Project". www.genealogy.math.ndsu.nodak.edu. 1 2 3 4 C.), Wali, K. C. (Kameshwar (1991). Chandra : a biography of S. Chandrasekhar. Chicago: University of Chicago Press. p. 9. ISBN 978-0226870540. OCLC 21297960. ↑ Vishveshwara, C.V. (25 April 2000). "Leaves from an unwritten diary: S. Chandrasekhar, Reminiscences and Reflections" (PDF). Current Science. 78 (8): 1025–1033. Retrieved 2008-02-27. ↑ Horgan, J. (1994). "Profile: Subrahmanyan Chandrasekhar—Confronting the Final Limit". Scientific American . 270 (3): 32–33. doi:10.1038/scientificamerican0394-32. 1 2 3 O'Connor, J. J.; Robertson, E. F. "Subrahmanyan Chandrasekhar". Biographies. School of Mathematics and Statistics University of St Andrews, Scotland. Retrieved 21 May 2012. ↑ "Subrahmanyan Chandrasekhar". starchild.gsfc.nasa.gov. Retrieved 2017-10-19. ↑ "Who was S Chandrasekhar?". The Indian Express. 2017-10-19. Retrieved 2019-01-13. ↑ Chandrasekhar, S. 1983. Autobiography Nobel Foundation, Stockholm, Sweden. 1 2 3 "S Chandrasekhar: Why Google honours him". www.aljazeera.com. Retrieved 2017-10-18. 1 2 3 4 5 Trehan, Surindar Kumar (1995). "Subrahmanyan Chandrasekhar 1910-1995" (PDF). Biographical Memoirs of Fellows of the Indian National Science Academy . 23: 101–119. ↑ "S Chandrashekhar, India's great astrophysicist: Why Google Doodle is celebrating the Nobel prize winner". The Financial Express. 2017-10-19. Retrieved 2017-10-19. ↑ Chandrasekhar, S. (1943). On the conditions for the existence of three shock waves. Ballistic Research Laboratory, Aberdeen Proving Ground, Report, (367). ↑ The Works of the Mind, p.176, edited by Robert B. Heywood, University of Chicago Press, 1947. ↑ Helmut A. Abt (1 December 1995). "Obituary – Chandrasekhar, Subrahmanyan". Astrophysical Journal. 454: 551. Bibcode:1995ApJ...454..551A. doi:10.1086/176507. ↑ Parker, E. N. (1958). Dynamics of the interplanetary gas and magnetic fields. The Astrophysical Journal, 128, 664. 1 2 S. Chandrasekhar : the man behind the legend. Wali, K. C. (Kameshwar C.). London: Imperial College Press. 1997. p. 107. ISBN 978-1860940385. OCLC 38847561. ↑ "Nobel laureate's wife Lalitha Chandrasekhar dies at 102". The Hindu . 2013-09-07. Retrieved 2014-01-02. ↑ Kameshwar C. Wali (1991). Chandra: A Biography of Chandrasekhar. University of Chicago Press. p. 304. ISBN 9780226870557. SC: I am not religious in any sense; in fact, I consider myself an atheist. ↑ "Interview with Dr. S. Chandrasekhar". American Institute of Physics. ↑ "Grants, Prizes and Awards". American Astronomical Society. Archived from the original on 24 January 2010. Retrieved 24 February 2011. ↑ "Past Winners of the Catherine Wolfe Bruce Gold Medal". Astronomical Society of the Pacific. Retrieved 24 February 2011. ↑ "Winners of the Gold Medal of the Royal Astronomical Society". Royal Astronomical Society. Archived from the original on 25 May 2011. Retrieved 24 February 2011. ↑ "Past Recipients of the Rumford Prize". American Academy of Arts and Sciences. Retrieved 24 February 2011. ↑ "The President's National Medal of Science: Recipient Details – NSF – National Science Foundation". www.nsf.gov. ↑ "Henry Draper Medal". National Academy of Sciences. Archived from the original on 26 January 2013. Retrieved 24 February 2011. ↑ Singh, Virendra (26 October 2011). "S Chandrasekhar: His Life and Science". Resonance . 16 (10): 960. doi:10.1007/s12045-011-0094-0. ↑ "Subrahmanyan Chandrasekhar Memorial Fellowship". ↑ Hartman, Mark; Ashton, Peter; Porro, Irene; Ahmed, Shakib; Kol, Simba. "Chandra Astrophysics Institute". MIT OpenCourseWare. Retrieved 2017-10-20. 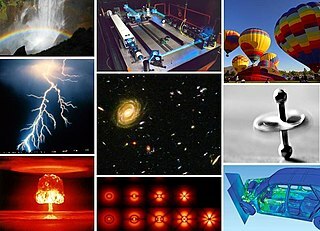 ↑ "The Chandra Astrophysics Institute – ChandraBlog – Fresh Chandra News". chandra.harvard.edu. ↑ "S. Chandrasekhar's 107th Birthday". ↑ Rajamanickam Antonimuthu (18 October 2017). "S. Chandrasekhar Google Doodle" – via YouTube. ↑ "KPTC Event Video - Colloquia". kersten.uchicago.edu. Retrieved 2019-01-13. ↑ "The 100th anniversary of the birth of Subrahmanyan Chandrasekhar: Chandrasekhar Centennial Symposium 2010 - Chicago - VideoLectures - VideoLectures.NET". videolectures.net. Retrieved 2019-01-13. ↑ "NSF Award Search: Award#1039863 - Chandrasekhar Centennial Symposium; Chicago, IL; October 16-17, 2010". www.nsf.gov. Retrieved 2019-01-13. ↑ Chandrasekhar, S (1980). "The role of general relativity in astronomy - Retrospect and prospect". Highlights of Astronomy. 5: 45–61. Bibcode:1980HiA.....5...45C. doi:10.1017/S1539299600003749. ↑ Chandrasekhar, S. (1973). PAM dirac on his seventieth birthday. Contemporary Physics, 14(4), 389–394. ↑ "Publications by S. Chandrasekhar" (PDF). Indian Academy of Sciences. Retrieved 15 May 2017. ↑ Tayler, R. J. (1996). Subrahmanyan Chandrasekhar. 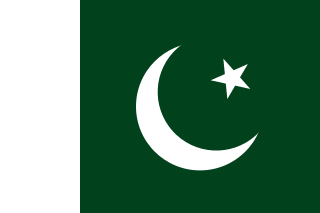 19 October 1910–21 August 1995. Biographical Memoirs of Fellows of the Royal Society, 42, 81–94. ↑ "Thermodynamics of the Compton Effect with Reference to the Interior of the Stars" (PDF). Indian Journal of Physics. 3: 241–50. ↑ Chandrasekhar, Subrahmanyan; Ferrari, Valeria (1995-08-08). "On the Non-Radial Oscillations of a Star: V. A Fully Relativistic Treatment of a Newtonian Star". Proceedings of the Royal Society A: Mathematical, Physical and Engineering Sciences. The Royal Society. 450 (1939): 463–475. doi:10.1098/rspa.1995.0094. ISSN 1364-5021. ↑ Parker, E. N (1996). "S. Chandrasekhar and Magnetohydrodynamics". Journal of Astrophysics and Astronomy. 17 (3–4): 147–166. Bibcode:1996JApA...17..147P. doi:10.1007/BF02702301. ↑ Sreenivasan, K. R. (2019). "Chandrasekhar's Fluid Dynamics". Annual Review of Fluid Mechanics. 51: 1–24. doi:10.1146/annurev-fluid-010518-040537. Great Indians: Professor Subrahmanyan Chandrasekhar – Video of Chandra's last interview at Chicago.